The engineering technology was whisked away by FBI agents the day Tesla died. All the inventor’s notes, schematics, and models never surfaced again. Only the work actually published during his life still remains accessible. But the dozens of boxes the genius left behind served as a foundation for the future. Tesla’s unpublished work—along with the millions of documents taken from Nazi Germany after the Allied defeat of the Third Reich—served as the foundation of America’s future black projects. Among the Tesla-related projects are new technologies developed with electrical applications: energy vortexes, the mutation of atomic structures , weather manipulation, and advanced radio applications that can initiate earthquakes by creating subterranean lightning along fault lines. Radiation can kill and radiofrequencies are part of the spectrum of radiation. Ultra-long radio waves can drive people mad; very short radiowaves, like microwaves, can create intense heat when interacting with matter when their energy is concentrated and intensified. That’s how microwave ovens work. 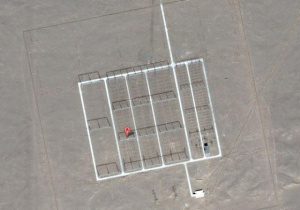 The radiowaves are close to those generated by large radar installations. 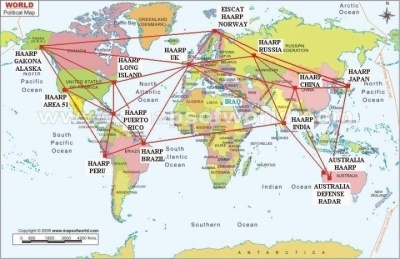 HAARP is basically a massive radio that can be tuned and modulated to various frequencies that interact in many ways with the Earth’s ionosphere, a shell of electrified atmosphere that lies about 50 miles to 370 miles above the surface of the Earth. The ionosphere’s upper edge forms part of the magnetosphere that interacts with solar radiation and occasional solar storms. Tesla designed and engineered machines that have modern applications with what’s known as scalar field technology. A scalar field touches many branches of science. In physics, scalar fields are associated with dimensions, quantum theory, atomic structure, the expansion of the universe, relativity and electromagnetics. Basically, a scalar field describes potential energy of a particular force. Scalar technology could be used with a facility like HAARP as it could manipulate radio energy and the geomagnetic field of the Earth. Research during the past few decades has linked the geomagnetic field, core, and faultines together. Manipulating any one of the three may affect the others depending on the energy applied. Investigators deducing the physics used by HAARP postulate the directed energy is nonlinear, or interacting. That would allow the addition of a scalar potential and not only interact with outside forces, but be self-interacting. 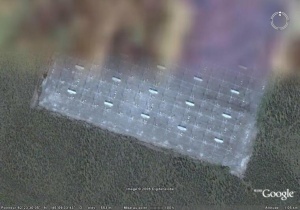 Researcher Tom Bearden has done intense investigation ( http://www.pakalertpress.com/tag/investigation/ ) of scalar technology, its applications by HAARP, and how self-interacting, nonlinear scalar technology can be weaponized. 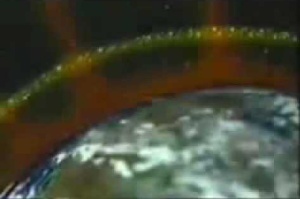 His conclusion is that HAARP technology is being built by nations all over the world. The United States is still the leader, but the Russians and Chinese are nipping at America’s heels. Bearden also claims some of the most powerful nations on Earth are in the midst of a scalar war. Weaponized systems like HAARP can direct weather to destroy enemy’s crops, plunge cities into deep freezes, cause massive floods, propagate earthquakes, ignite volcanoes and cause other kinds of mayhem. On the surface, conspiracy theories about HAARP’s ability to trigger earthquakes seems a far stretch at best. To the average citizen the claim sounds like it should be relegated to the tin foil hat crowd. But in reality, there may be real truth and real science to support the allegation. 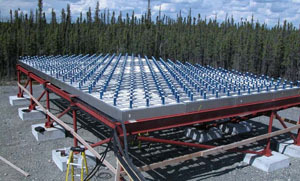 The reason why HAARP may be able to create earthquakes—or trigger weak faultlines—has to do with new scientific discoveries about what can trigger some temblors: underground lightning. 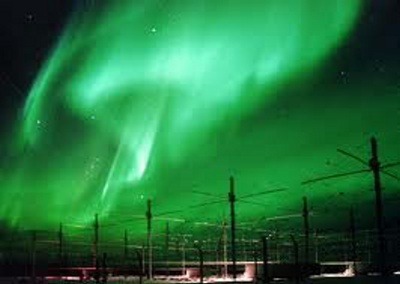 Since high energy radio transmissions from HAARP can affect the ionosphere and in turn the Earth’s geomagnetic field and eventually the interaction of that field with the solar stream, that mutation of the field can be a causal factor in the precipitation or strengthening of titanic subterranean lightning storms. 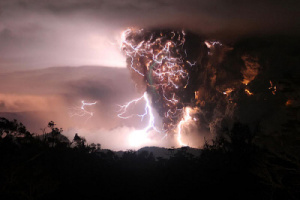 Such storms have been shown in breakthrough geophysics studies to be one of the possible causes of some earthquakes. 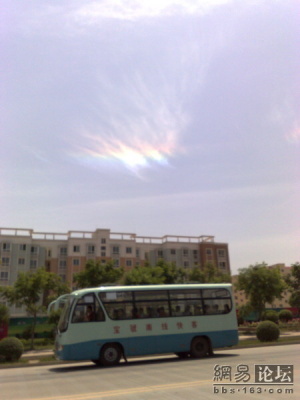 The troposphere and stratosphere conduct electrical discharges through water vapor. Similarly, liquid magma can conduct the electricity of the telluric current. 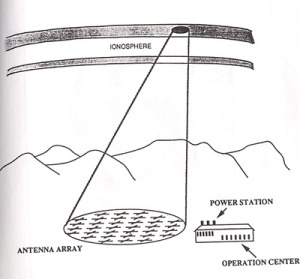 The charges underground become attracted to opposite electrified charges in the ionosphere. The resulting pressures create intense force that release magnitudes of spontaneous discharges detonating underground and directed and intensified along fault lines by huge deposits of quartz. Using Earthscope—a new technology that employs deep scanning sensors—the two scientists were able to determine that quartz is evident primarily in areas of the earth with weakened crust. 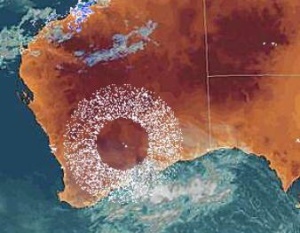 Such geological hot spots are highly likely to generate earthquakes and volcanic eruptions. 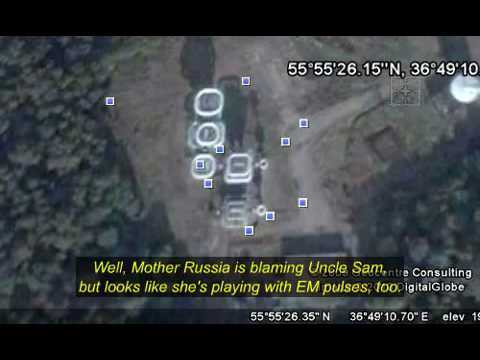 A weaponized HAARP can affect these fields and by doing so take control of the telluric currents. Such power effectively makes the controllers of such technology—the governments of the U.S., Russia, and China—essentially the Masters of the World. Nikola Tesla set aside some of his more dangerous research after the Tunguska event. But the world-famous inventor never destroyed his notes on the Death Ray project. 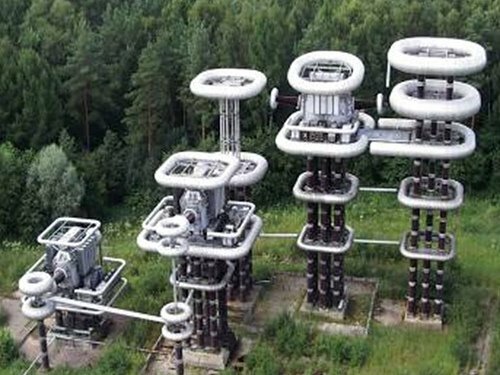 The technology that could destroy the world was grabbed by agents of the federal government during the mid-1940s and researchers, scientists and engineers have secretly built upon much of Tesla’s early work for more than 60 years. Now, with evidence of earthquakes where no known faultines exist and alarming measurements that indicate the Earth’s core is mutating, the HAARP War is escalating. China, Russia and the United States are racing to complete their own radio superweapon’s matrix of mayhem to dominate the Earth’s geomagnetic field…and, perhaps, to dominate the world.